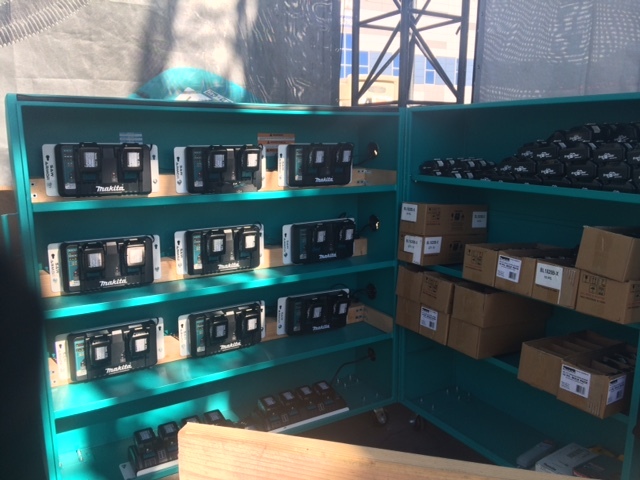 Our Custom Shop can design and build solutions to upgrade your tools, provide Cerakote ceramic coating solutions, mount your Makita chargers and LXT batteries on a wall, truck, toolbox or other places and more. Contact us or call 571 315 3665 to inquire about any of our Custom Shop solutions. 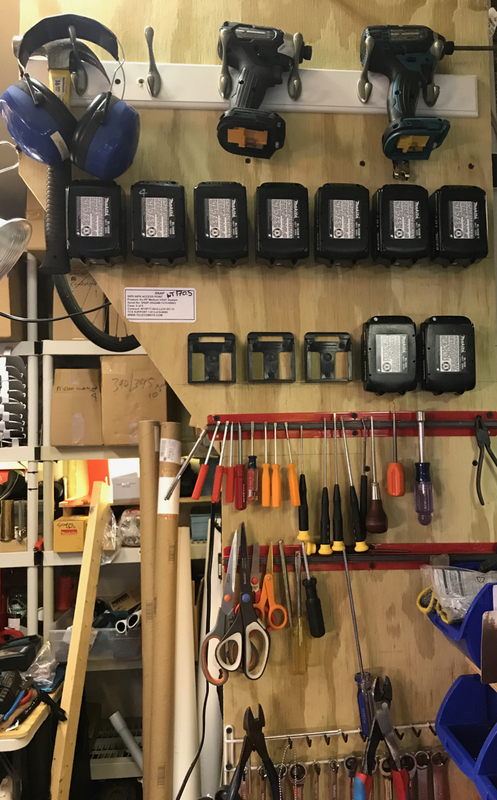 Individual wall mounts for DC18RD and DC18SF battery chargers and Makita 18V LXT battery mounts are available for purchase on our store. 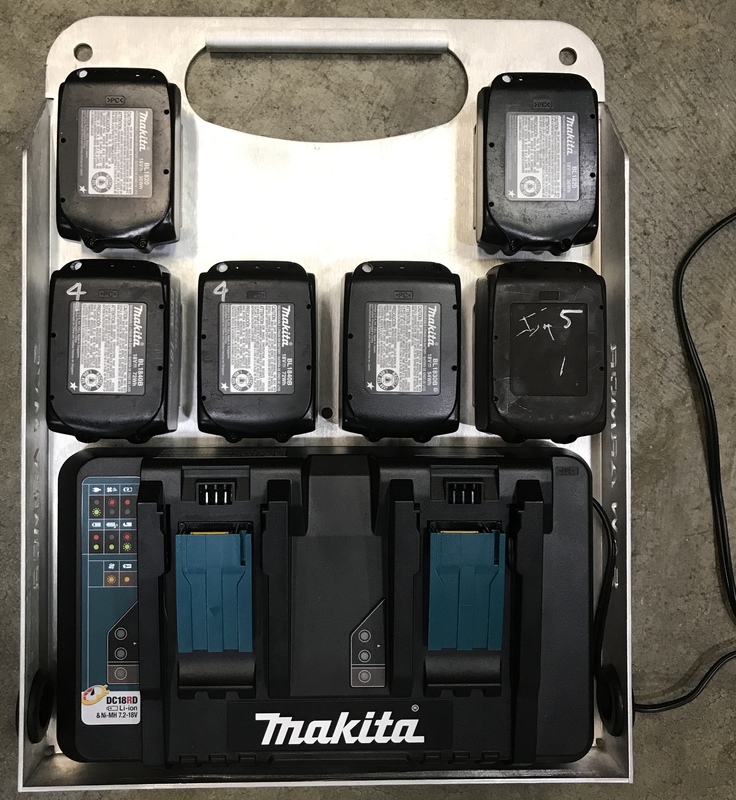 Charger and battery carry tray, which is pre-drilled to mount a DC18RD battery charger (hardware kit for mounting charger into the carry tray is included) and includes 6 installed LXT 18V battery mounts as shown. Our charger brackets can be used to mount chargers on a wall, in a vehicle, a tool box or other flat surfaces. 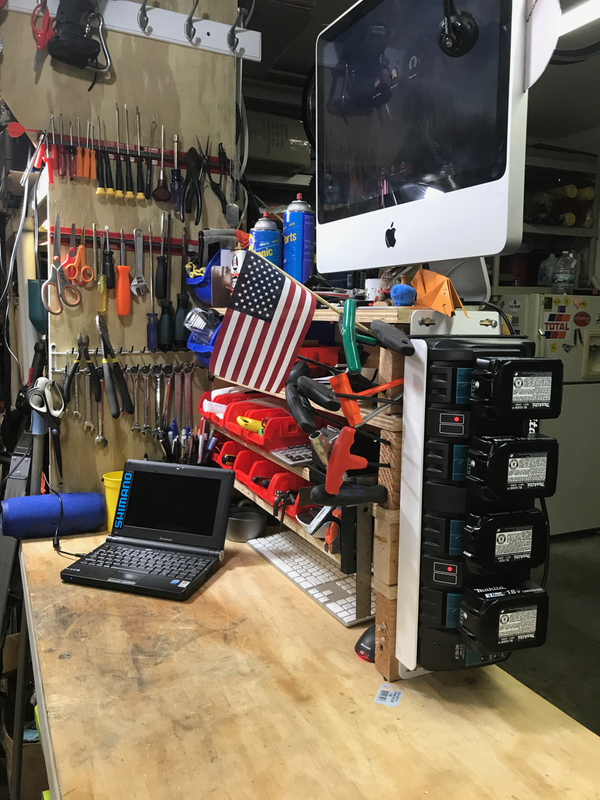 Secure methods must always be used to fasten charger brackets to their place of iuse.